It was Dad’s idea, says the young pâtissier with a shrug. Dad said, Why don’t you name the shop after the light of the moon. And why not in French, since you have been working in France. So that’s why we called it Clair de Lune. 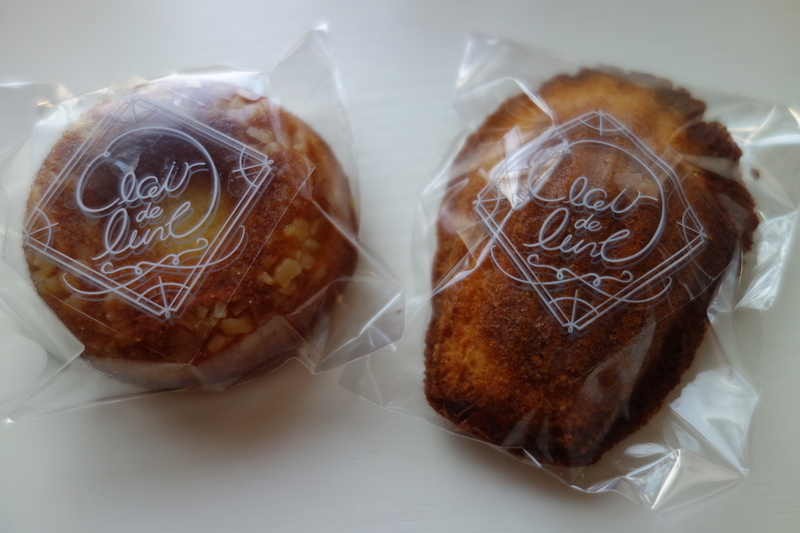 Yoshifumi Otosaka packs your purchase into a paper bag and passes it over the glass counter, the inside of which has some tasty-looking tarts. Then he shows you a postcard his Dad has had printed. It carries a flowery mission-statement about how these confections will soothe the customer’s heart, just like soft moonlight. He seems a bit shy to show you this. Well, didn’t your Dad embarrass you a bit, sometimes? OK, well, the proof is in the pastries. And they do in fact calm you. Today you chose a couple of macarons, a madeleine, some sort of bite-size galette, some strawberry snowballs, others…you could have gone on. There’s a lot of good stuff. And you can come back later, as he opens until 9pm. Otosaka baked in Paris and Lyon for about five years until last spring. He was going to spend longer but on a return trip to Tokyo his father, Mitsuyoshi, who also baked commercially, suggested they work together. 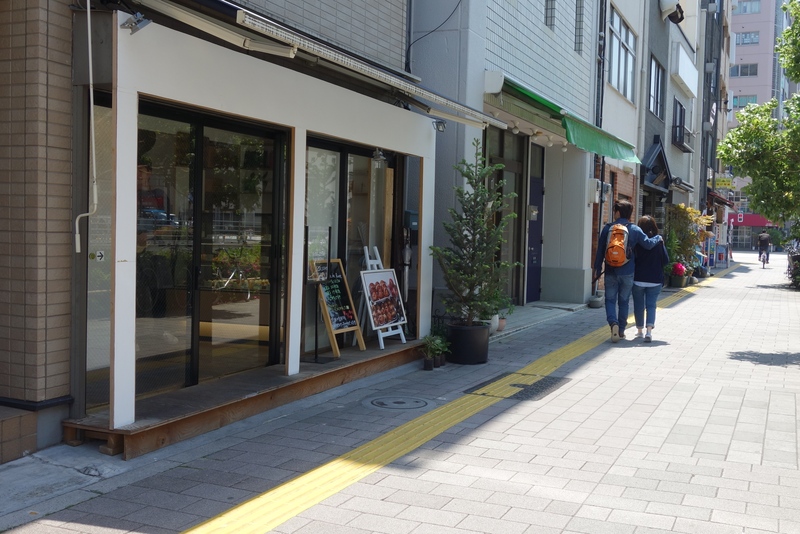 They chose this spot near Kuramae station because it’s their neighbourhood. 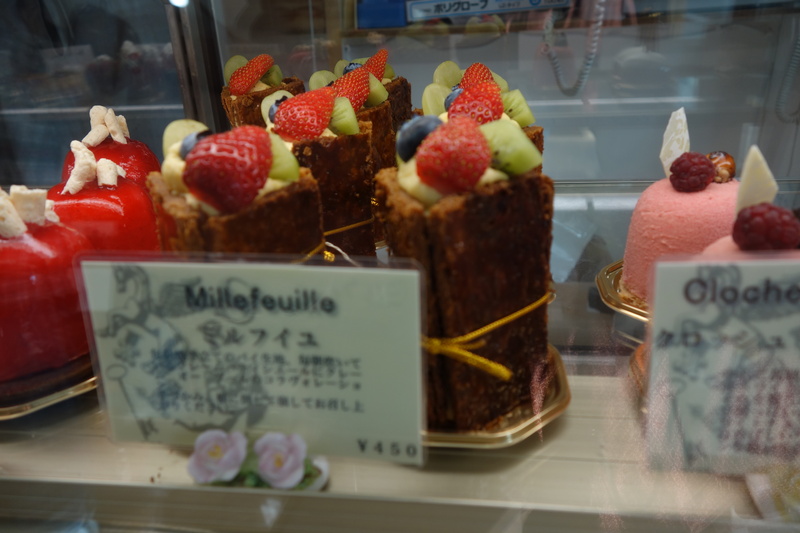 And because, as Yoshifumi says, Most people here, if they want to buy a nice cake, have to go somewhere like Ginza. And the freshness is lost. So now they can come here. Otosaka says, I ate an awful lot of other people’s macarons. It may be a far cry from Paris, but after just eight months, Clair de Lune seems always to have customers. Cosmopolitan ones, too. A woman in front of you tells Otosaka she is a fashion buyer with business this week in Milano. She likes his new line of macarons. Otosaka says, I ate an awful lot of other people’s macarons, doing research. And you know, I concluded most macarons here have too much sugar. And too much cream. The woman agrees. She says, That’s because people don’t understand that less is more. 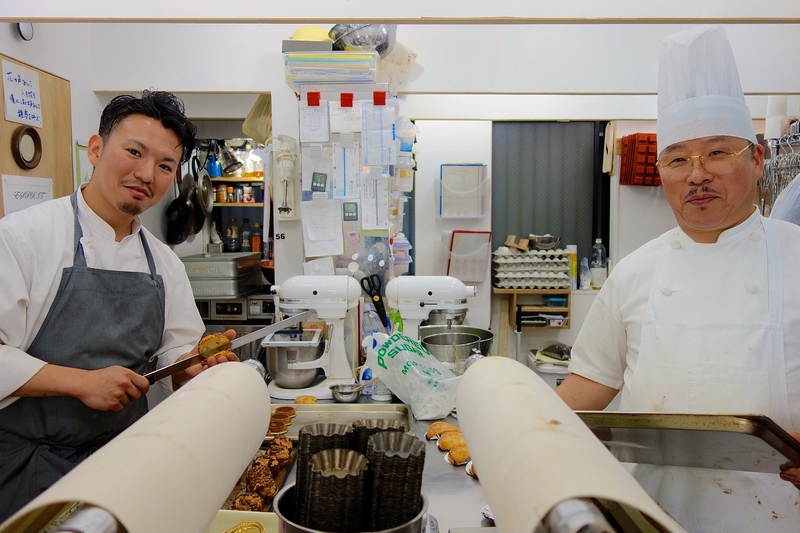 Otosaka’s originals include the Baton d’Or, a “golden rod” of pastry filled with sweet potato and custard. He only makes about 15 a day. He also does a caramel macaron using English sea salt. The after-taste is curiously refreshing. Another speciality is a vertical millefeuille fruit tart. He says, Gravity makes the traditional horizontal millefeuille go soggy. Mine has sponge in its base but stays light. Of course. Defying gravity is just part of chez Otosaka’s life on the moon.